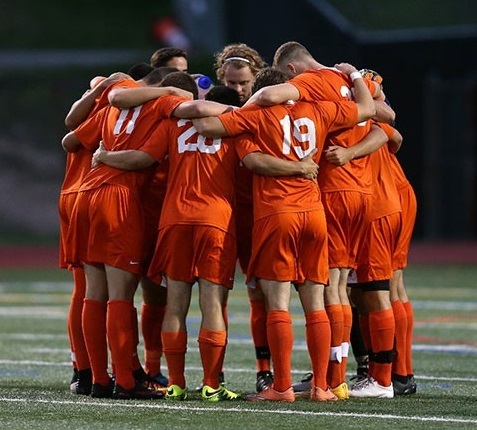 Men's Soccer: Any camp related questions may be directed to Coach Bill Garno at wtgter@rit.edu. Women's Soccer: Any camp related questions may be directed to Coach Liz Masterson at eematl@rit.edu. RIT Men’s Soccer invites you to join us for a great training experience. RIT’s College ID Camp is a residential camp for boy’s grades 9-12 seeking exposure to the collegiate soccer environment. The camp will provide young players an opportunity to elevate their soccer skills & prepare to play at the next level. Training sessions will provide young players an opportunity to improve their technical ability and tactical knowledge of the game. RIT’s coaching staff will instruct campers within a challenging environment that promotes playing in both small-sided and full-sided game scenarios. Evening games will give the players the opportunity to put their skills to the test and showcase their individual and collective ability along with other high caliber young players preparing to play collegiately. 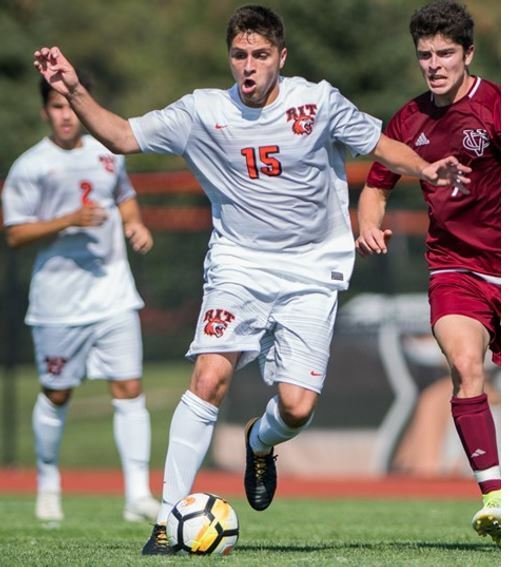 In addition to field instruction and competitive opportunities, RIT's College ID Camp prepares young players for the next level by providing a “total body & mind” approach to optimum soccer performance. Nutrition, dynamic stretching, speed and strength training, sports psychology and the college recruiting process will all be addressed by the coaching staff. One on one interaction with the coaching staff is a key element of the structure training approach by staff. While at camp, campers will utilize the same facilities as RIT’s soccer athletes. During their stay, campers will reside in RIT residence halls and all meals will be provided by RIT Dining Services, to provide participants the opportunity to get the full experience of Rochester Institute of Technology. RIT Men’s Soccer Coaching staff also conducts team clinics at RIT or your location in the spring and late summer. If your team or group is interested in learning more, please contact the Men's Soccer office at: 585-475-2618. Cost: Overnight - $400; Commuter - $325. Early Bird Discount available for those who register before May 1st - $25. Camp Discount available for RIT employees $25 by emailing Coach Masterson directly. The focus of the RIT Women's Soccer Academy is to provide high school aged girls with an experience that acts as a snapshot of the college soccer environment. In addition to the tactical and technical development provided by top level coaches, the academy attendees will be exposed to the cutting edge advancements in leadership and mental toughness training. Guest speakers, panels, and video sessions will compliment the on-field time; providing athletes with a holistic approach to player development. The small number of campers is designed to provide a quality experience where individualized coaching and interaction is at the core of the curriculum. We invites you to join us for a great training experience. The Summer Youth Development Camp is a commuter camp for youth boys and girls ages 8-18 seeking exposure to an advanced soccer training & development environment. The camp will provide young players an opportunity to elevate their soccer skills, grow their love of the game, & improve in the mental, physical, technical, and tactical aspects of their game. RIT’s coaching staff will instruct campers within a fun & challenging environment that promotes individual technical development and small-sided game scenarios. RIT coaches will deliver a 4 day training curriculum aimed at all aspects of individual player development. All camp participants will receive training in small groups (<10 players/coach) and one on one feedback and instruction. Games will provide participants with a chance to demonstrate their understanding of the aspects being taught, as well as have fun. In addition to field instruction and competitive opportunities, the RIT's Summer Youth Development Camp prepares young players for the next level by providing a “total body & mind” approach to optimum soccer performance. Nutrition, dynamic stretching, speed, agility & quickness training, sports psychology and preparedness for the "next level", whatever that may be based on age & level of the participant, will all be addressed by the coaching staff. One on one interaction with the coaching staff is a key element of the structured training approach of our staff. While at camp, campers will utilize the same facilities as RIT’s soccer athletes. Lunch will be provided each day by RIT Dining Services.